To participate, write your answer and the name of your game world (e.g. US-1 Crankshaft) by replying to this thread. 3 random players with the right answers will win 200 Gold each! Good luck and may the bubbles be with you! Please note that prize can not be redeemed on Masters server. As I won the last of your games, Samisu, I don't want to win this time, i participate just for the fun of it. and here is one with ducks looking more like William. The post was edited 2 times, last by Klabbauter ( Feb 27th 2018 ). 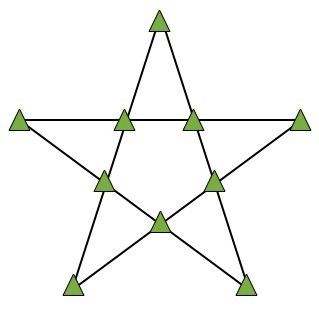 They simply arranged themselves that way in a star-shaped form with 5 points. They are in a five point star formation, like this.. 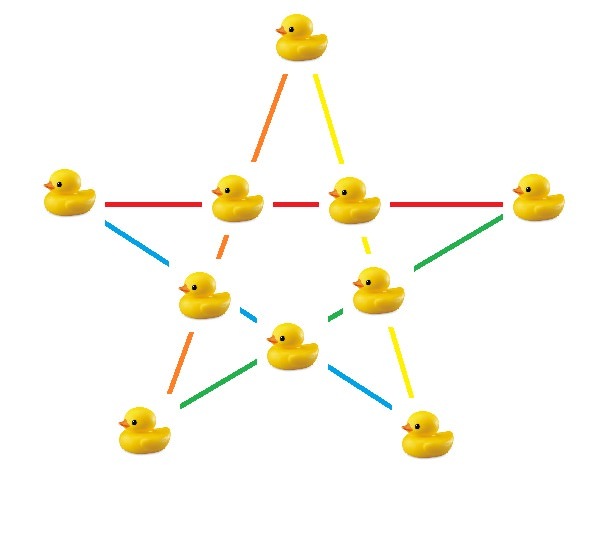 Solution : Just imagine a 5 pointed star , with duck at each point, and one duck where the sides intersect. Attached image has the solution in image format. There was a mirror behind the ducks making it look like there was 4 in each row. they ARRANGED INTO A STAR POLYGON. THE FIVE EDGES AND 5 INTERSECTING POINTS ARE DUCKS. They swim in a 5-pointed star. Because Momma Duck Said, 'Quack, Quack, Quack'. And then they all lined up in a 5 pointed star. each 0 in the two triangles represents a duck. The post was edited 1 time, last by espvern ( Feb 27th 2018 ).